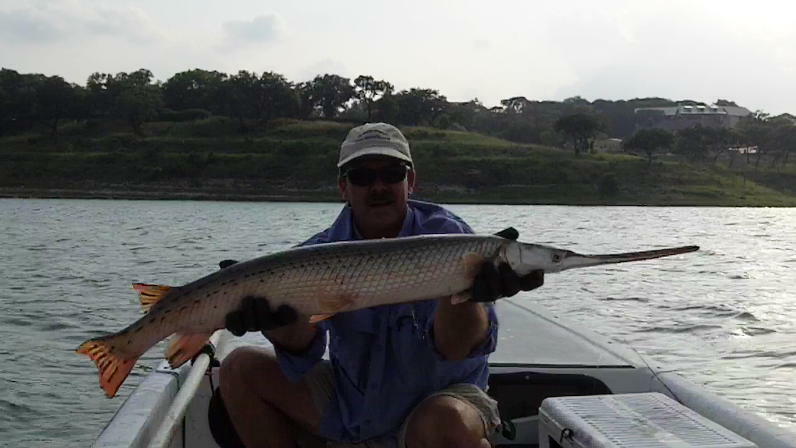 The longnose gar action is heating up at Canyon. I fished this evening for several hours near the buoys at Crane’s Mill and hooked/landed 6 gar. The largest measured 50 inches. I have been experimenting with a new fly for these fish (which are notoriosly hard to hook) and it is working well. 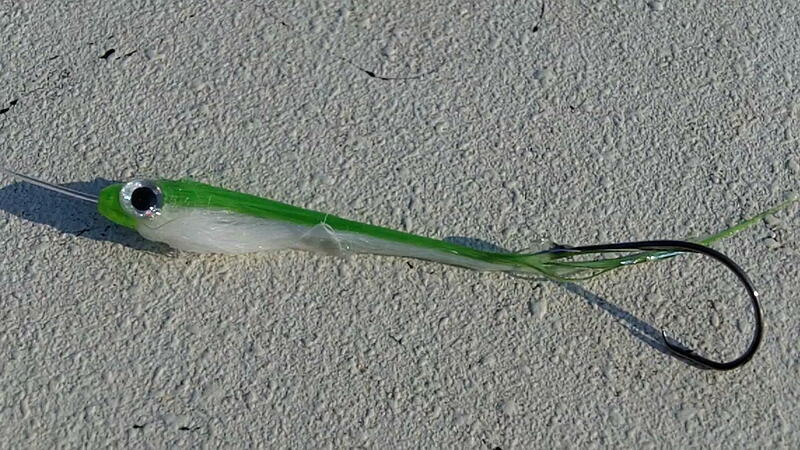 The fly is a craft fur baitfish pattern with a 3/0 Mustad Demon circle hook trailer. Nice fish! And would be a Texas State Record on fly if I am not mistaken. Yes, it would be. But there are much bigger ones out there. Wish TPWD would add gar to the catch-release division so you didn’t have to drag them to a large certified scale. sWEEET!!! Glad to see some more progress! Gar is the new black! Indeed it is. Try the circle hook stinger style! They don’t have black stripes on them Jon, so you would be out of luck. Ha! Yes, that is workable. Main problems for me though, is that I mostly fish alone, and my certified Boga is a 15lb’r. These fish bottom it out. Need a certified 30 lb Boga.